D A W N A C K R O Y D: Twitter Shout Out! Apparently, today Twitter is 10 years old. 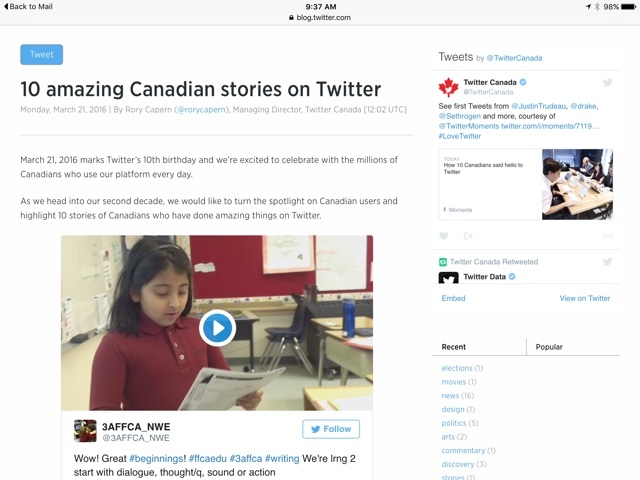 @TwitterCanada wrote an article about great things happening on Twitter in Canada, and we were one of them!